Bengal was no exception. 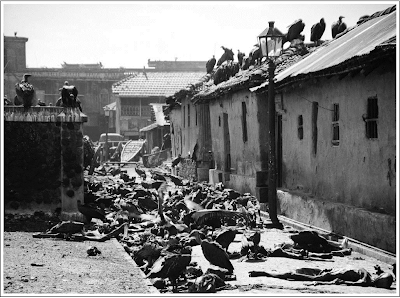 The memory of Direct action Day or Great Calcutta Killings of August, 1946 had not yet been faded. Tension were once again surging up in Bengal, between the two communities, Hindus & Muslims. It was the time when Mohandas Karamchand Gandhi arrived in Calcutta (Kolkata). His month long stay helped to brought down the violence and peace was restored in the City. 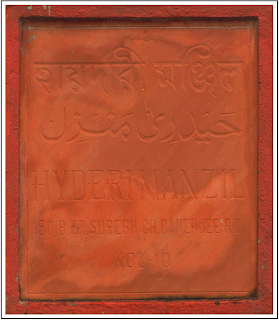 HYDERI MANZIL in Beliaghata was his address during the mission. Later on it was converted to a museum and rechristened as GANDHI BHAWAN. 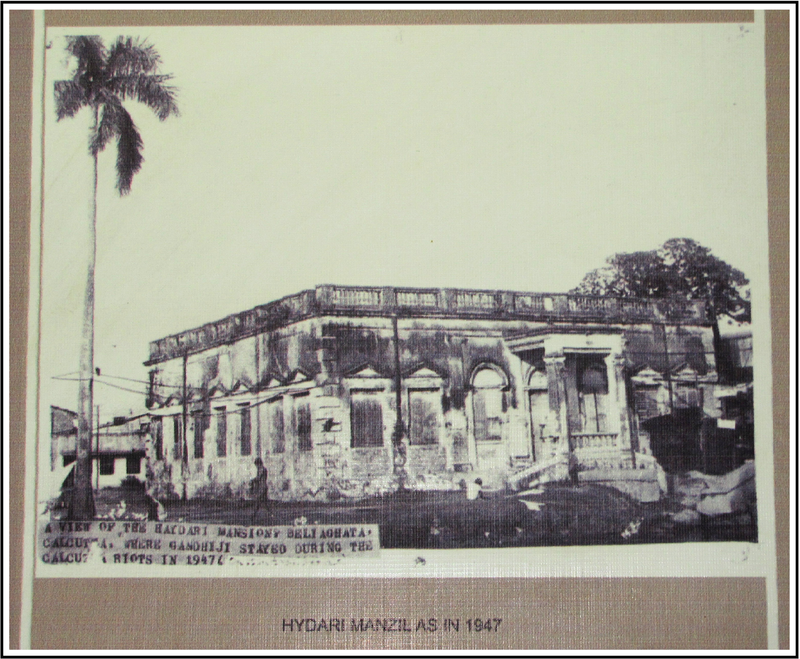 In the context of Gandhi Birthday, WANDERLUST presents to you GANDHI BHAWAN or HYDERI MANZIL, where Mahatma Gandhi spent the moment of Independence on 15th August, 1947. The building was originally the property of Dawoodi Bohra Community, a branch of Shia Islam, centered in western India. Some members of the community had migrated from Surat to Bengal in as early as 1843 and later became known as Bengaliwalla. 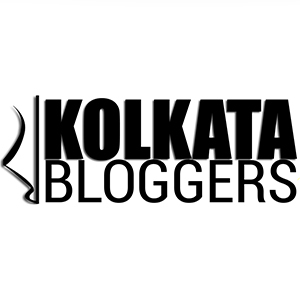 They settled in 19th century Bengal with the objective of business and bought extensive properties in Calcutta including a large one in Beliaghata. 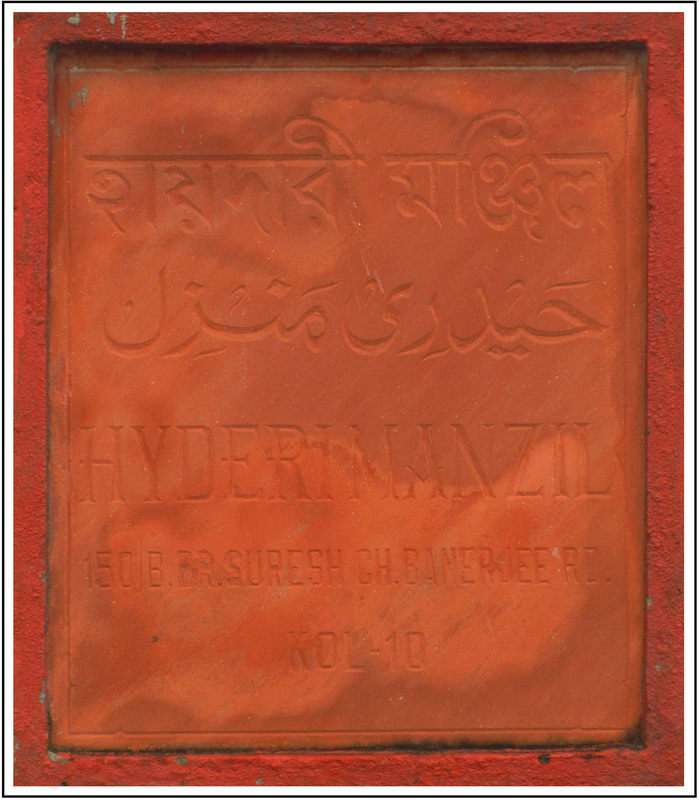 Hyderi Manzil was a part of this property. In 1923, Sheikh Adam, a Dawoodi Bohra inherited this single-storey building with a pond behind it. Sheikh Adam later bequeathed the property to his daughter Hoosainabai Bengali. By the time Mahatma Gandhi came to live here in August, 1947 the property was transferred to H S Suhrawardy, a prominent Muslim League leader and the last Prime Minister of Bengal during the British Raj. At present, the property is well maintained and Tazias are still immersed in the pond after the Muharram procession. The family graveyard is a little further down. Renovation and beautification work, currently being carried on around the pond, once finished, would surely provide a value addition to the property. The seed of Communal Violence in different parts of India during 1946-47, was probably implanted in 1942 when Gandhiji launched QUIT INDIA, a civil disobedience movement demanding British Withdrawal from the Country. Though the movement was supported by Indian National Congress but parties like Muslim League, Hindu Mahasava, Rastriya Swayamsevak Sangha (RSS) opposed to it. The movement had created a national consciousness along with the sense of power and its distribution. This has resulted in a sense of insecurity, contradictions and an environment of uncertainty. Due to the fundamentalism of Muslim League and aggressiveness of Hindu Mahasava, the social climate was extremely tense and sensitive. The common mass were worried about the partition. It was awaiting a spark !! Ultimately, the call for 'Direct Action' by Muslim League had ignited the fire. On 16th August, 1946, widespread riot and manslaughter between Hindus and Muslims took place in Calcutta. Great Calcutta Killings was the worst riot British India had seen. In October, 1946 Noakhali Riot followed. A series of massacres, rapes, abductions took place. Later Communal Violence erupted in Tripura too. 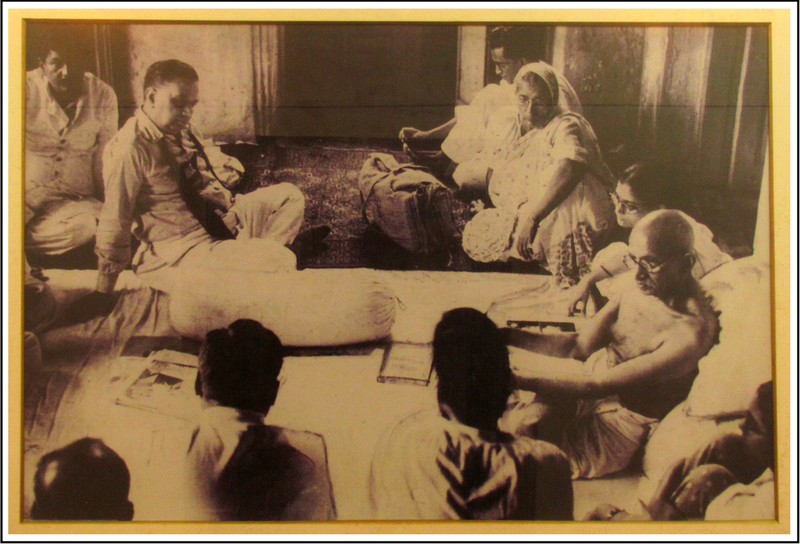 Due to the increasing tension, in May, 1947, Gandhiji held discussions with prominent leaders like H S Suhrawardy, Sarat Chandra Bose, Shyama Prasad Mukherjee, regarding the United Sovereign Bengal. 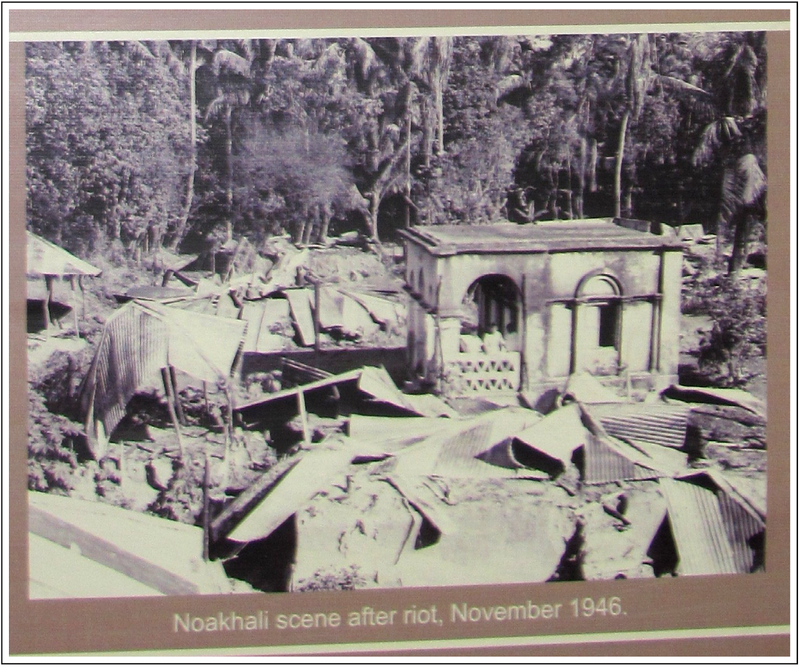 Gandhiji arrived in the violence-torn City on 9th August, 1947 at Sodepur, with the intention of proceeding towards Noakhali. However, Suhrawardy requested him to extend his stay in view of the communal tension in the City. Mahatma relented. But the condition was that Suhrawardy would join him under the same roof till every Hindu and Muslim was safe. Hyderi Manzil was chosen because he purposely wanted to stay at a predominantly Muslim neighbourhood. At that time this area of Beliaghata was known as Miabagan, a prominent Muslim locality. Gandhiji moved to Hyderi Manzil on 13th August, 1947. He faced angry demonstration by Hindus with black flags and 'Go Back Gandhi' slogan. On 14th August, at a meet in Marwari Club he stated, "Tomorrow we will be free from the slavery of the British, but from midnight India will be cut into two pieces". On the next day, when India attained freedom, Gandhijit spent the day fasting and praying. On 24th August a rumor was spread like wildfire that Gandhiji was shot. When Home Minister came to see him he told, "How fortunate would I consider myself to be if someone were to shoot me". The house was like a pilgrimage spot where leaders, students, followers and the masses came to meet Mahatma. Jyoti Basu, former Chief Minister of W.B. was also one of the regular visitors. August 31 saw violence flaring up once again. While addressing a Muslim gathering, Gandhiji was attacked by Hindus with lathi and bricks. Gandhiji undertook life-threatening fast on 1st September at 8.15 pm on the condition that he would give up if sanity return to Calcutta. The then Governor of Bengal, C Rajagopalachari requested him to give up but he refused. Finally on 4th September Hooligans and their leaders came to meet Gandhiji and asked for forgiveness, surrendering the arms at his feet. Mahatma agreed. The 73 hour long fast broken at 9.15 pm. Finally Gandhiji left for Delhi on 7th September, 1947 after spending 25 days in Hyderi Manzil. During Gandhiji's visit, the house was dilapidated and there were hardly any amenities like toilets. Some local people cleaned up the building and that was all. After Gandhiji left for Delhi, the house turned into a rubble heap. Only decades later W.B. Government undertook its repairs and inaugurated the Museum on 2nd October, 1985. It became known as 'GANDHI BHAWAN'. Today the house is surrounded by a high wall. 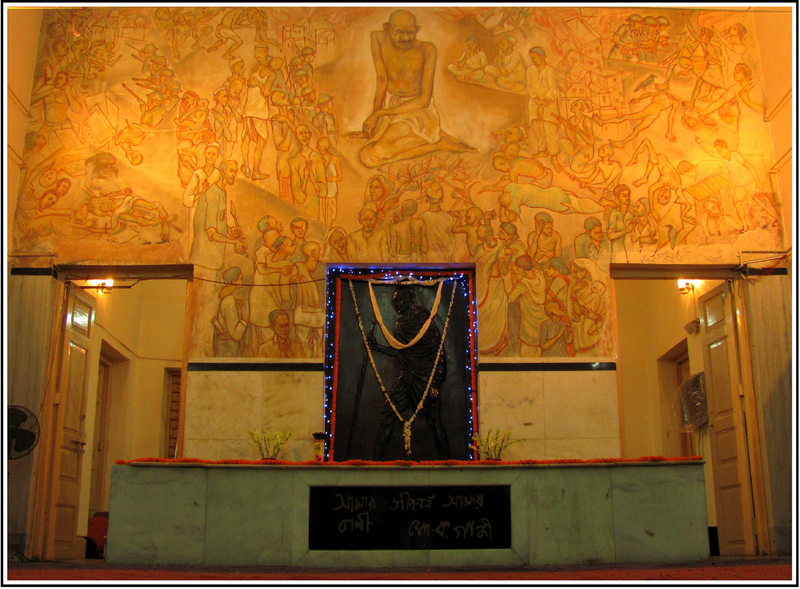 The steps are paved with marble and the large central hall has a fresco painted by the students of Tagore's Viswa Bharati on the communal killings in Calcutta during 1946-47. 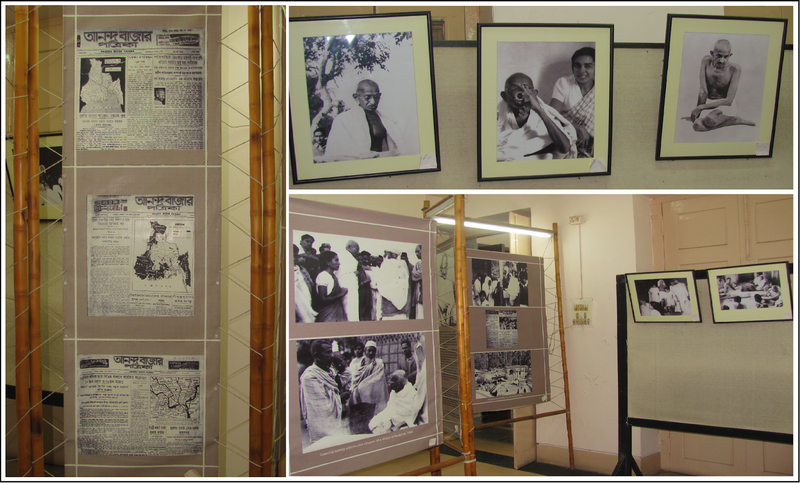 In the adjacent rooms, there is a museum where several rare photographs of riot stricken Bengal, Gandhiji's stay at Hyderi Manzil are displayed. Also on display are newspaper clippings bearing the accounts of riots and facsimile of Gandhiji's letters. In one room, a glass enclosure contains the bed, bed sheet, mattress, pillow, slippers, lantern and charkas - used by Mahatma during his stay. Two particular exhibits deserve a special mention. One is three swords in a glass case, that were surrendered into Mahatma's feet by the rioters. Another is a facsimile of Gandhiji's letter written in Bengali to Kamarunnesa, a Muslim girl of riot hit Noakhali village supporting Hindu-Muslim unity. For the past many years, the Purba Kalikata Gandhi Smarak Samiti and Purba Kalikata Bapuji Smarak Samiti - two groups of dedicated Gandhians, have been looking after the maintenance and upkeep of of this historical edifice in association with PWD. They used to arrange cultural programmes at the venue like the one I enjoyed yesterday, on the occasion of Gandhi Jayanti. They do have a library too within the premise. Though currently closed, a plan to reopen it is in the pipeline, as advised by Sri Dilip Dey, the caretaker of the premise. Open : All Days, No weekly off. 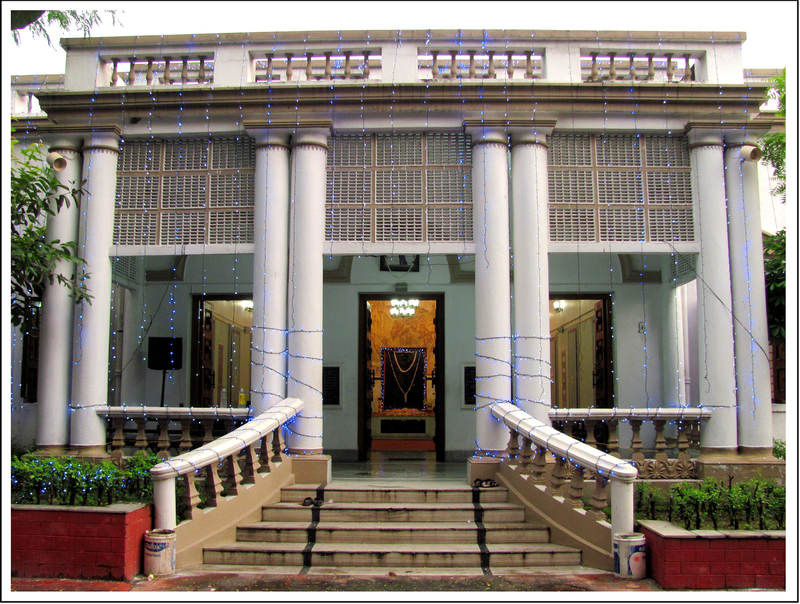 Article on Gandhi Bhawan @ Kolkata on Wheels Website. SHIV NANDY - WILLIAM SHAUGHNESSY ... The Bengali-Irish pair behind the First Electric Telegraph Line !! BRAHMO SAMAJ OF INDIA ... Tabernacle of New Dispensation !! ST. JOHN'S CHURCH ... where History lies in every corner !! SUSANNA ANNA MARIA's TOMB, CHINSURAH ... Dutch Lady - Ruskin Bond - 7 Khoon Maaf !!! BIDHAN SABHA BHAWAN - W.B. LEGISLATIVE ASSEMBLY HOUSE ... Witness to the Debates & Power Shifts !! TALLAH TANK ... Quenching City's Thirst for Over a Century !! METCALFE HALL ... An Architecture to Celebrate Press Freedom !! 'HINDOO' STUART's MAUSOLEUM ... Tomb or Temple ??!! BASRI SHAH MOSQUE ... Oldest Mosque of Kolkata !! MAHISASURAMARDINI ... Invoking the Mother !! EDEN GARDEN'S PAGODA ... A Neglected Beauty ! !